Chairman of the Jewish Home party and cabinet member Naftali Bennett explained to Reshet Bet why he opposed the transfer of the Qatari money to the Gaza Strip. 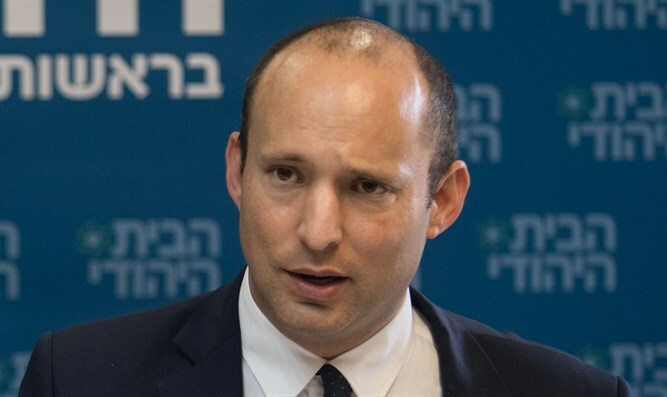 Bennett was then asked why he requested another hearing at the coalition leaders’ meeting over the so-called "Sa'ar Law" (in reference to Netanyahu's perception of former Likud Minister Gidon Sa'ar as a political rival) stipulating that only the chairman of a party can form a government. He answered that in his opinion the law "doesn't help and doesn't harm. The prime minister asked that we agree to the law, and we did." He said the Jewish Home agreed to support the basic principle of the law. However, the request for an additional hearing came after "they came on Friday with an addition to the law full of clauses." Bennett was apparently referring to another part of the bill eliminating the president's discretion in deciding who is best suited to form a government, and obligating him to choose the head of the party with the most Knesset seats. As for the Zilber episode, Bennett stated that Deputy Attorney General Dina Zilber “completely forgot her place. And she, Zilber, has started to preach as if she’s at a leftist demonstration in Rabin Square."